Phage display is a technology that allows the de novo discovery of peptides against any target of interest by exploring DNA-encoded peptide libraries exceeding billions of different members. In this context, we are using our proprietary CLIPS technology to generate highly constrained peptides with enhanced affinity, selectivity and proteolytic stability suited for diagnostic and therapeutic applications. Phage display platform optimized for identification of CLIPS constrained peptides from high quality libraries based on trinucleotide technology and diversities exceeding 4E+10 variants. 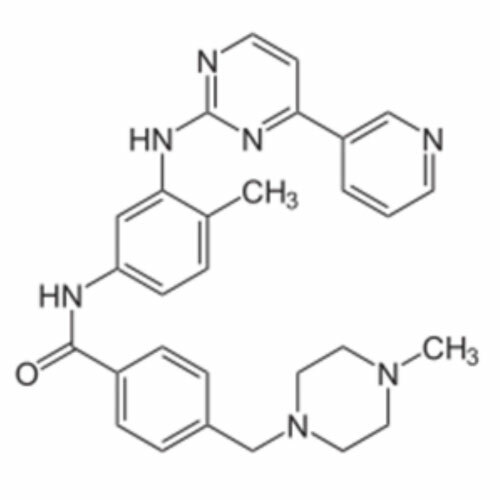 Access to our CLIPS scaffold portfolio containing over 50 different scaffold molecules. World-leading expertise in synthesis of CLIPS-constrained peptides in various formats and scales. Hi-sense peptide array platform for the structural fine-tuning of CLIPS-constrained peptides with a capacity exceeding 100.000 peptides per month. 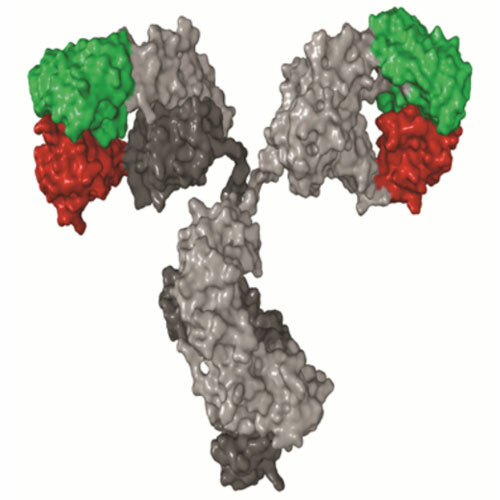 Integration with antibody epitope mapping. Highly trained staff with years of experience in peptide display, synthesis, design, optimization and molecular recognition of peptides. Our monocyclic phage display library encodes for 10 random positions (X) flanked by two cysteines (ACXXXXXXXXXXCG). The phage display library was generated with trinucleotides, ensuring an equal distribution of all 19 natural amino acids (excluding Cys) over all randomized positions and possesses a diversity exceeding 4E+10 variants. Structure of the various different T-2 scaffolds and corresponding (anticipated) peptide conformations. Combining monocyclic libraries with different types of CLIPs aids us to explore different conformational assembles in the peptide structure space. Prof. Heinis lab (EPFL, Lausanne/Switzerland) published results showing that combination of the same library with different scaffolds can yield unique solutions for recognizing the target protein.² Swapping of scaffolds after the selection often abolishes peptide binding. Prof. Suga’s lab (Tokyo/Japan) combines one encoded library but varies the N- terminal amino acid that is used for cross inking, e.g. N-chloroacetyl-L-Tyr to D-Tyr.³ Again, such a variation usually leads to unique candidates for each selection where the enantiomer used is essential for target recognition. 1. Glas, A. et al. Constrained Peptides with Target-Adapted Cross-Links as Inhibitors of a Pathogenic Protein–Protein Interaction. Angew. Chem. Int. Ed. 53, 2489–2493 (2014). 2. 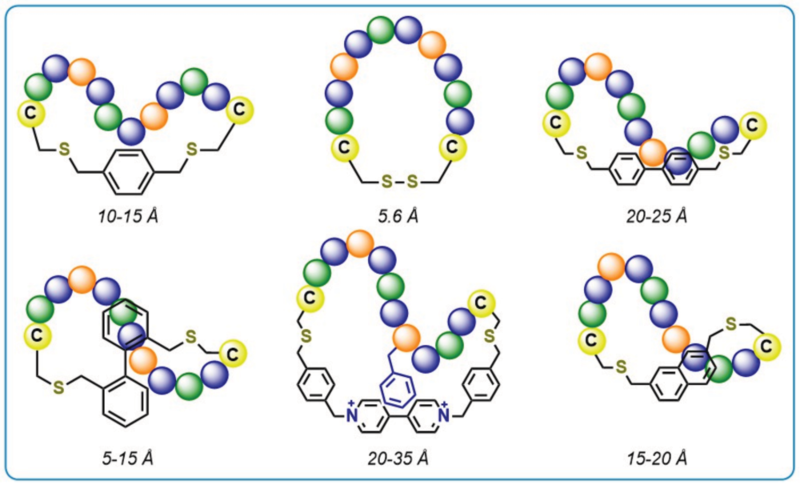 Chen, S., Bertoldo, D., Angelini, A., Pojer, F. & Heinis, C. Peptide ligands stabilized by small molecules. Angew. Chem. Int. Ed. Engl. 53, 1602–1606 (2014). 3. Kawamura, A. et al. 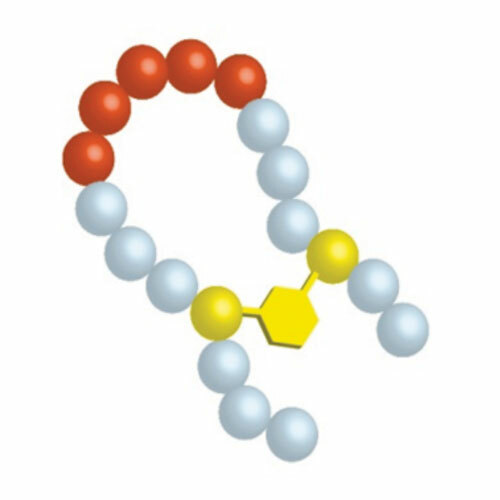 Highly selective inhibition of histone demethylases by de novo macrocyclic peptides. Nature Communications 8, 14773 (2017). Why Phage Display of Cyclic Peptides with Pepscan?